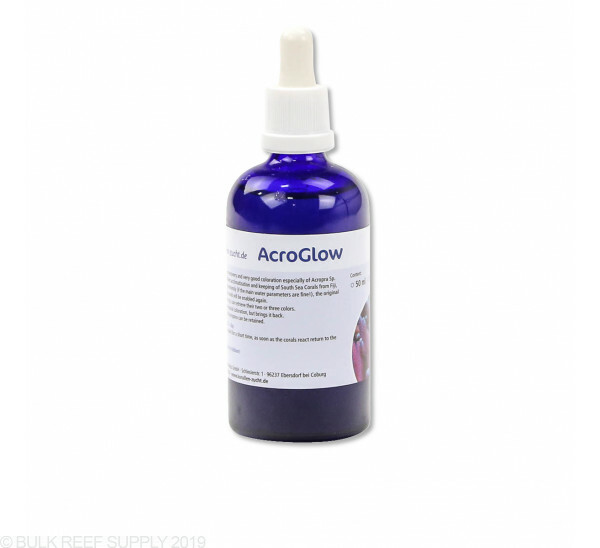 KZ AcroGlow brings out some of the best coloration for SPS corals (most notably Acropora Sp.) while helping promote vigorous growth and vitality. 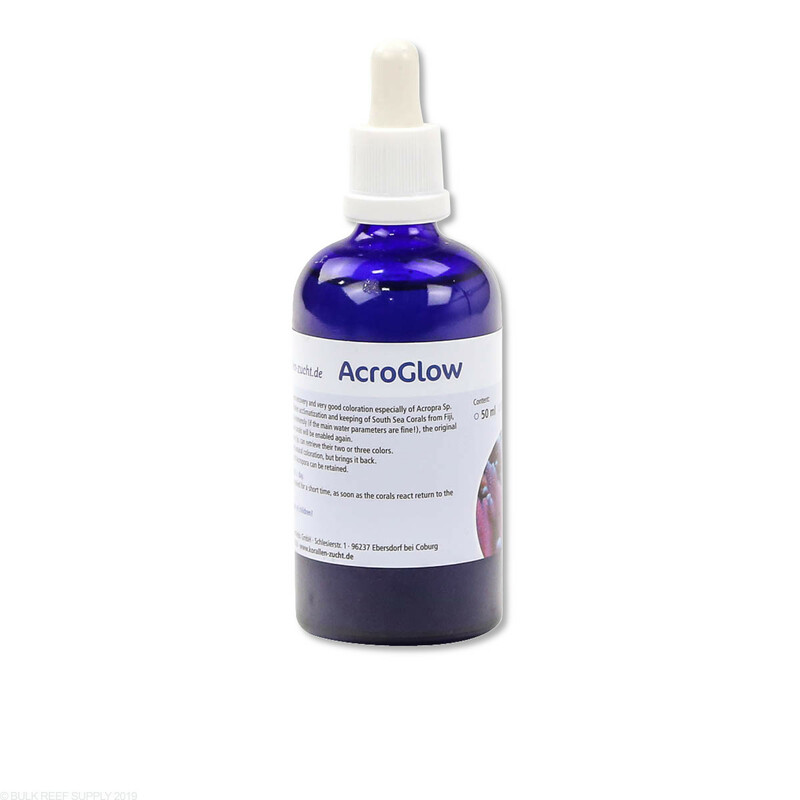 AcroGlow is a proprietary solution that helps enhance the color and health of Acropora Sp. With daily dosing, the coral's original colors will begin to appear again, while maxamizing polyp extension and response. 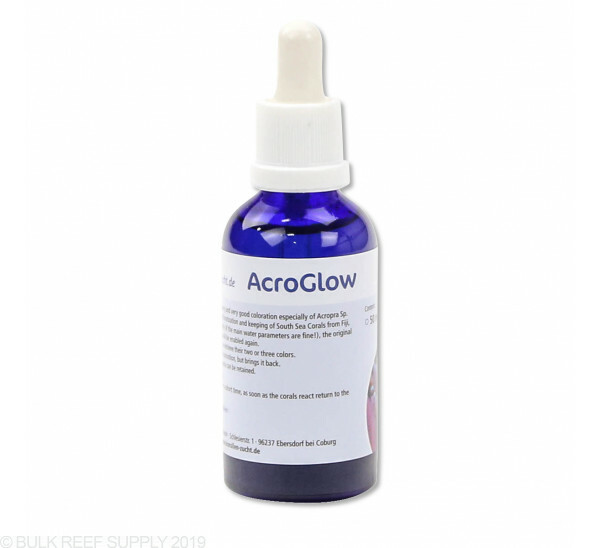 AcroGlow greatly enhances the yellows in corals too! Can be used with or without the ZEOvit system. Recommended dose is 1 drop per 27 gallons (100L) daily.